There's Another Star Kid On The Block And She's Giving Us Major Makeup Inspiration! There's a new star kid on the block and she's related to the Panday's. 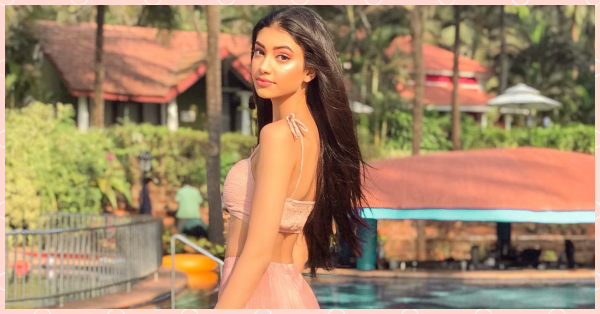 Alanna Panday is Chunky Panday's niece and Ananya Panday's cousin. She's Deanne Panday's daughter (the celebrity fitness expert) so it should come as no surprise that Alanna is nothing short of gorgeous. With an impeccable sense of style and radiant skin, is Alanna ready for her big Bollywood debut? The 23-year-old is already a social media star in her own way. She's currently completing her education at the London School Of Fashion. Meanwhile, a quick glance through her social media profile is going to leave you feeling nothing short of inspired. She's got great taste in fashion and makeup too, she knows how to accentuate her best features. And she's got two makeup products she doesn't leave the house without. Any guesses? These products are also the secret to her youthful glow! Still wondering? It's blush and highlighter! When you're younger, your skin looks pretty good without too much makeup. A little bit of blush on the apples of your cheeks and a little bit of highlighter swept across your cheekbones is all you really need. If you're trying to look younger than you actually are, a great makeup hack is to use the same shade of blush on your eyes as eyeshadow. Alanna does it and a lot of makeup artists swear by it. Use the same shade of blush in the crease of your eyelids to add a little colour, it's simple and very effective. Give it a shot. So if there's a new makeup trend you're looking at for inspiration, fresh-faced, minimal makeup is the way to go!